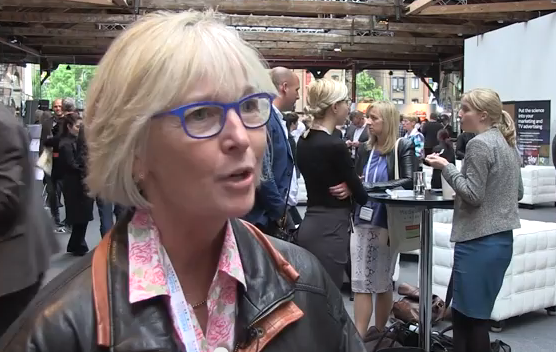 Jan Gooding, the group brand director at Aviva, explained why it is still worth investing in TV advertising, in a video from Media360. In reference to a talk at the conference by Nick Jenkins, the founder of Moonpig.com, about championing entrepreneurship and business leadership, Gooding talked about the importance of TV to make an impact and achieve scale. Gooding said: "I get asked a lot about why we are still investing so much in TV when we're talking so much about everything being online and through social media. "I think [for him] to make the point that in order to get impact and scale quickly there was nothing else but television that was going to achieve that when his company [Moonpig.com] was growing – that really impressed me."